Meghan Markle reportedly wrote father Thomas a letter begging him to stop his media attacks: "Stop victimizing me"
Meghan Markle was reportedly so upset and hurt by her father Thomas Markle's continuous attacks on her in the media that she wrote him a letter where she begged him to stop "victimizing" her. Around five of Meghan's "close friends," whose identities have not been revealed, shared that Meghan wrote a letter to her estranged father not too long after her wedding to Prince Harry in May last year, as reported by PEOPLE. In the letter, she wrote, "I have one father. Please stop victimizing me through the media." The five friends who are believed to be in Meghan's innermost circle revealed that Thomas responded to the letter by asking Meghan for a photo shoot. "I think she will always feel genuinely devastated by what he has done," the sources shared. Thomas's frequent criticism of Meghan's lack of communication and contact is especially shocking as her friends shared that he knows how to reach her but has honestly never tried. "He knows how to get in touch with her. He's never called; he's never texted. It's super painful," the friends continued. They further added how Meghan did not really have any relationship with her half brother Thomas Markle Jr. or her half-sister Samantha Markle. "They have been made to appear as siblings who had this falling out, and that's not the truth at all," the friends shared adding that both Thomas Jr. and Samantha were both teenagers by the time Meghan was even born. "They were not a part of her life," the friends added. 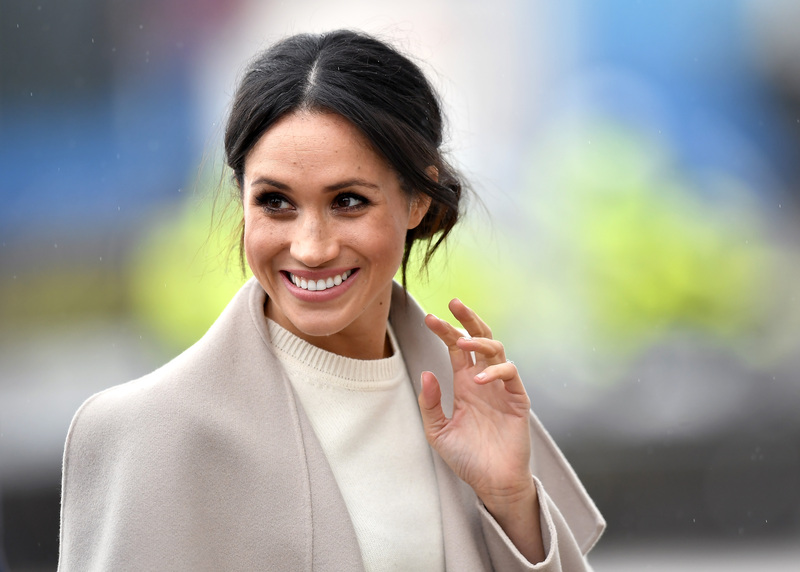 The Duchess of Sussex's friends also addressed rumors that Meghan had become "difficult" ever since moving to the palace and dismissed all rumors that she and her sister-in-law the Duchess of Cambridge Kate Middleton were feuding. "She is the same person, though everything around her has changed. There is nothing behind the feud with Kate. It's completely untrue," the friends shared. One of Meghan's pals and also former costar from LA shared that Meghan actually preferred a pretty simple life. She spoke about visiting Meghan and Harry's cottage in Windsor and shared, "We had a couple of days together recently. Her husband was out of town on work. In the room she made up for me, there was a candle lit by the bed, slippers and a robe. We were the only two in the house. It was our time." "She made the most lovely meals. She made tea every day. It was raining and muddy outside, so the dogs got all dirty, and she’s wiping them off with towels. How much she loves her animals, how much she loves her friends, how much she loves feeding you, taking care of you — none of that has changed," the source continued. "Meg has silently sat back and endured the lies and untruths. We worry about what this is doing to her and the baby. It’s wrong to put anyone under this level of emotional trauma, let alone when they’re pregnant," her pals added.